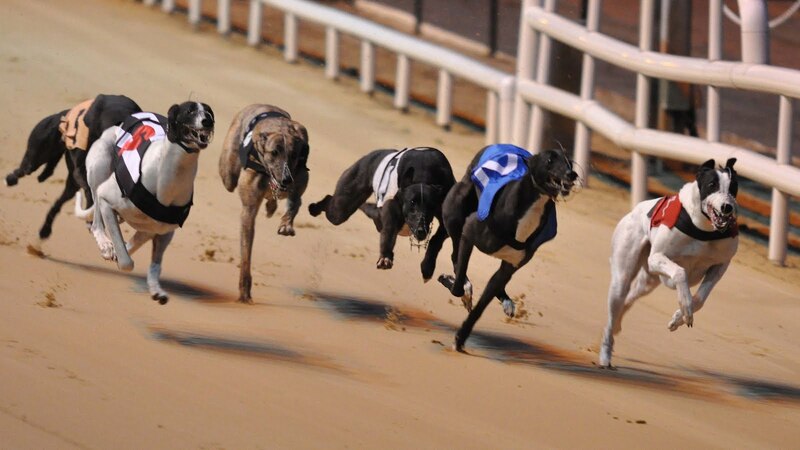 Well if you can't promote greyhound racing on your own doorstep, where can you? I am continually proud to be the supplier of greyhound racing content for my local publication, The Nenagh Guardian, who have perennially displayed an unwavering support and willingness to publish our local achievements in both codes of greyhound racing. With an exceptional level of sports coverage which encompasses an astounding and varying range of sports, the Nenagh Guardian held their inaugural Annual Sports Awards three years ago when I was again very proud to be part of a thoroughly deserved celebration when Pat Guilfoyle and his family received recognition for their brilliant achievement in training Skywalker Rory to Irish St Leger victory. This coming Friday night brings the third Annual Awards celebration for the Nenagh Guardian and will feature Pat Guilfoyle among the recipients once again. 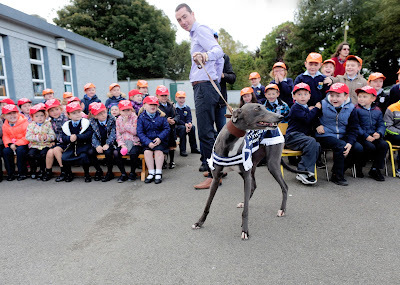 The victory of Good News in the 2017 Boylesports Irish Greyhound Derby was of huge significance for the greyhound community in our locality and this second award from the Nenagh Guardian displays both their commitment to coverage of our sport and their recognition of the magnitude that brilliant Derby victory carries for sport as a whole to the people of North Tipperary. For this commentator, the opportunity to inform the more general readership of the Nenagh Guardian about the exploits of Good News was a privilege and for his journey to culminate with Derby victory leaves precious memories that will live forever. The Nenagh Guardian Awards on Friday will see Good News, the Guilfoyle family and equally importantly, see our sport honoured among a plethora of high achievers across many other sports. In a period over the last twelve months where all in our sport have experience turmoil on some level, and in my own case utter torment, this awards night takes on significant importance. At a low ebb while contemplating some frustrating issues in my sport, I firstly looked no further than my own family kennels for mind soothing solace which more often than not, only the dogs could provide. However, I will now take this coming Friday's celebration for the achievement of Good News as a galvanising reinforcement that there is hope to bring the general public on a shift back towards our sport. I will likely face some questions or a little slagging over some of the happenings in recent times but I will answer them all as best I can. The Nenagh Guardian have committed to carry my stories about greyhound racing and I will commit to continue promoting, for every story published in the Nenagh Guardian has been positive. 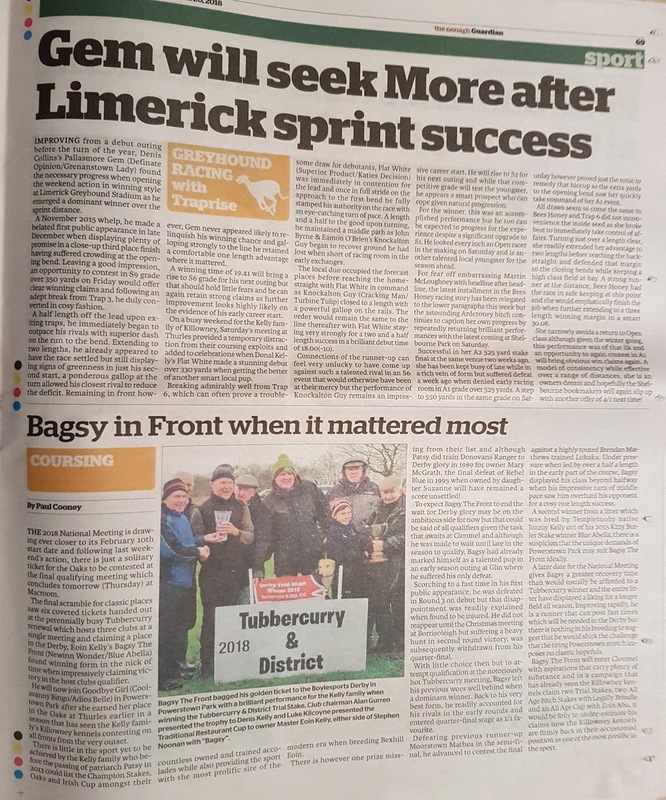 When every single mainstream newspaper publication that I can think of sought the bad news far more fervently than they did the "Good News".....the Nenagh Guardian never once asked their greyhound reporter to cover a negative story about the sport. That is as honourable a commitment to us, as any I have seen through our troubled period. 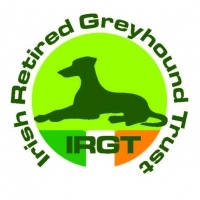 So for that and for my friends who will be honoured at the Nenagh Guardian Awards, this Friday night, while a confined regional celebration, I see more as a special occasion for greyhound racing as a whole.